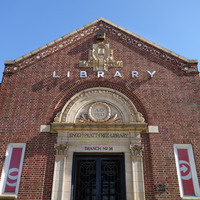 The Forest Park Library is located in a beautiful park-like setting, serving the neighborhoods of Forest Park, Dickeyville, Ashburton, Hanlon Park, Gwynn Oak, and the Forest Park Golf area. This location is wheelchair accessible, with the exception of the meeting room. Enjoy free play with our Minecraft Lego kits. This was Kai’s first time attending storytelling. It was Excellent! I think he enjoyed it. Great Class! Ms. Wiggins is an excellent teacher. I was able to pick up the techniques taught very quickly. It was so easy! Instructor was very patient and knowledgeable and fun! It was a great and amazing experience. Both my grandson and myself enjoyed it a lot! Great educational and fun event for the families! I was a bit disappointed the libraries, in general, did not have more glasses to give to attendees but everyone shared successfully. It was very engaging and fun time for preschoolers. I liked the activity. Unfortunately, there was only one student.